2001 Manufactrured home, remodeled in 2005 with added family room and master bed and bath. Custom features include a sliding barn door into family room, raised hearth and wood stove, pine wood ceilings, claw foot tub in master and hard wood floors in family room and master bedroom. Eat-in area in kitchen has bay windows, breakfast bar and there is additional dining room. 2 guest rooms and laundry area. 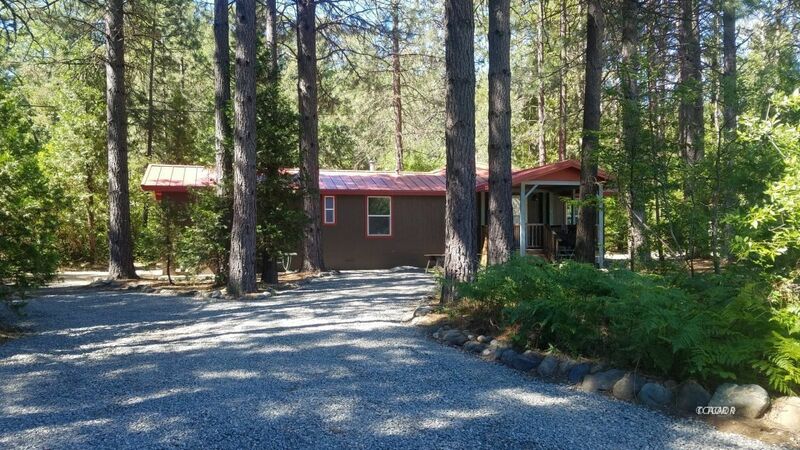 Sliders to back deck from family room and covered front porch for relaxing in the fresh, mountain air, new back fence for privacy and RV hook-up in yard. Nice neighborhood, paved roads, minutes to swimming hole, Trailhead Pizza and Country Store. Recreation awaits you on the Trinity River and Lake for fishing and boating, mountains provide hiking and ATV trails, hunting in season, snowshoeing in winter. Coffee Creek has school, church, store, restaurant, Fire Dept and Forest Ranger Station. A true gem in the Trinity Alps Recreation Area.